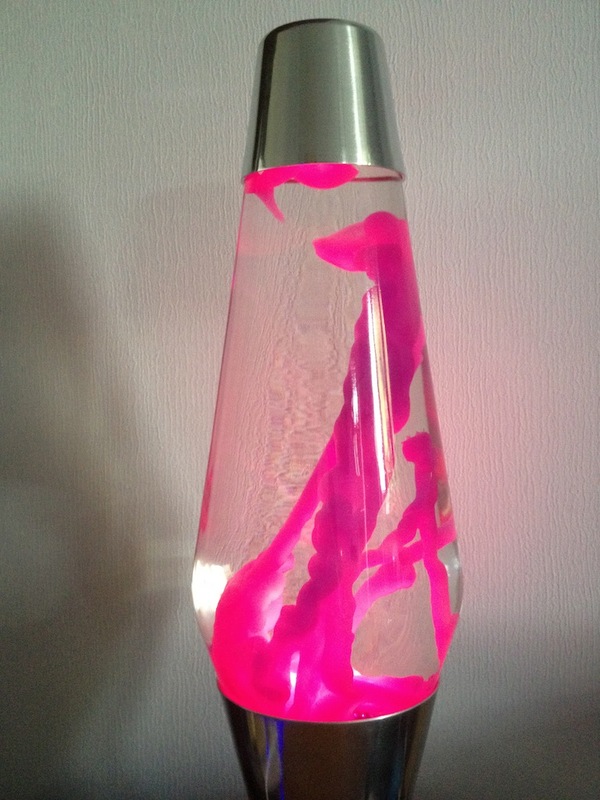 The Smart Astro Lava Lamp maintains the shape of the original Astro while taking lava lamps to new heights. It has a sleek aluminum casing and has a steel Smart button on the base which folds underneath if you feel the need to tuck it away. The lamp looks attractive when on and even off, it’s timeless design hasn’t been hindered by all the gadgetry inside it’s hand lathed metal body. 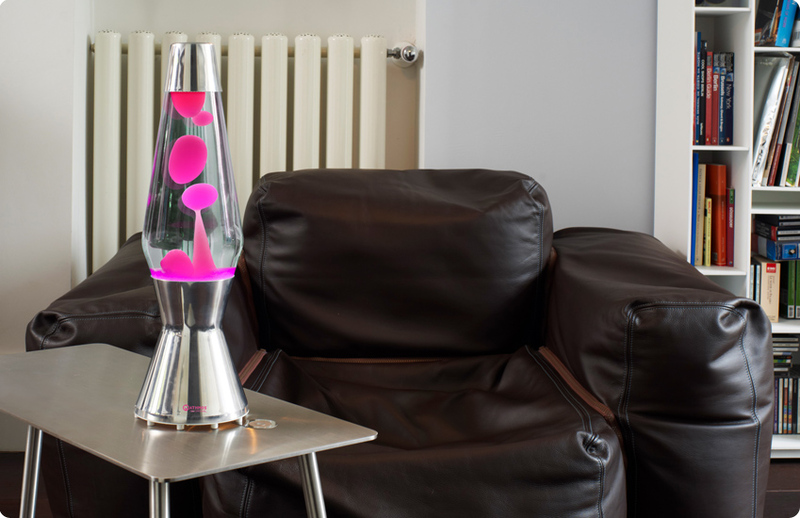 Instead of using a traditional lightbulb to heat the lava, Mathmos’ Smart Astro uses what the company calls the new “Smart” lava lamp technology. The technology combines a computer chip, heating plate, temperature sensor and LEDs to provide a customizable lighting experience for many. It also has automatic temperature regulation, so the lava formula of Mathmos will always flow at the right temperature and never overheats. Because there is a separate heating plate, the LEDs will not heat up the wax. The lamp is switched on using the touch sensitive metal tab attached to the base. 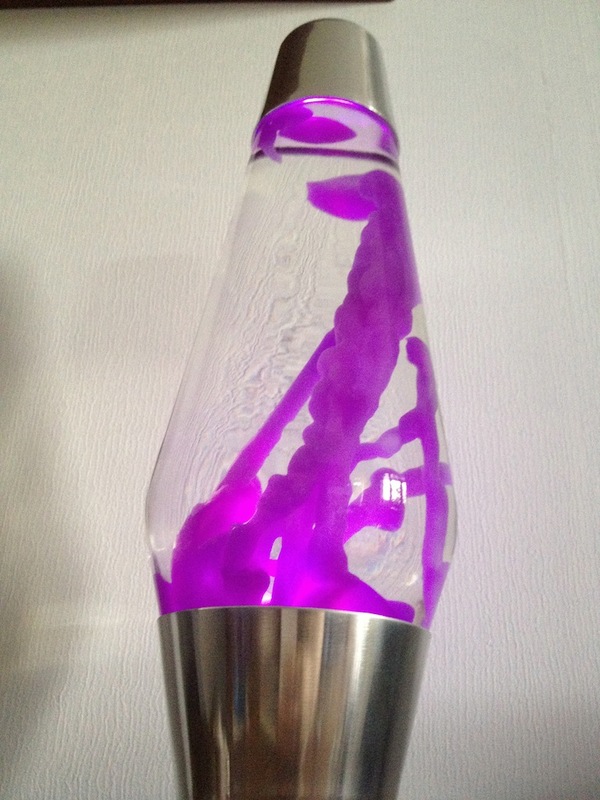 Not only does this power on the lamp but also allows you to set a static colour of your choosing, you have to get the timing just right to ensure you hit your favourite colour but this is an awesome feature which sets it apart from traditional one colour lava lamps. 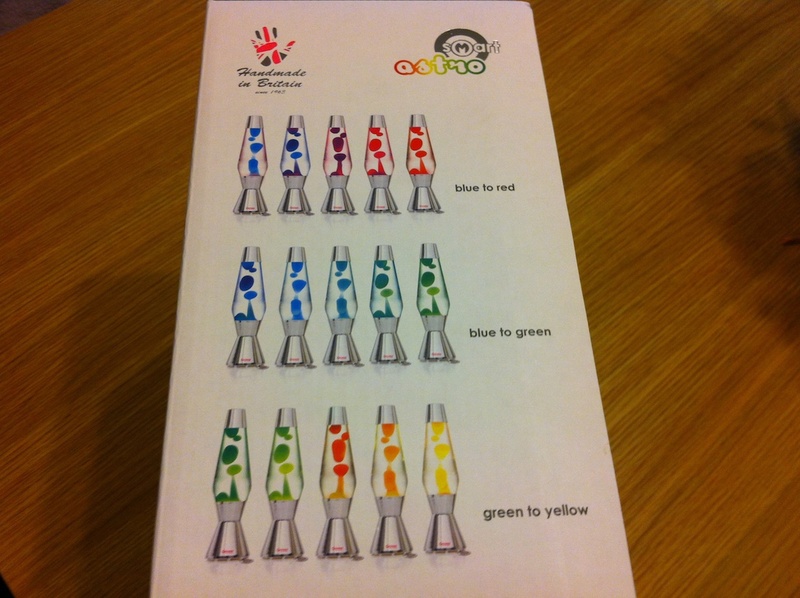 The Smart Astro is available in three colors: green to yellow, which phases through orange; blue to red, which phases through pink and purple; and blue to green, which phases through sea green. 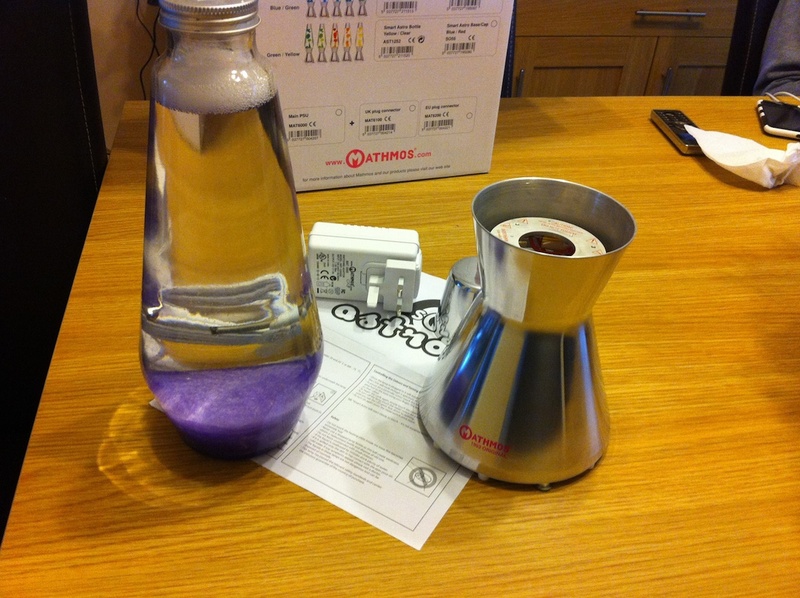 The self regulating heating ring doesn’t heat up the lamp any quicker than a traditional bulb, so you’ll have to wait an hour and half before bubbles start to appear. The build up is equally interesting though as weird alien shapes start to appear as the wax is super heated. The colour changing makes the experience all that more exciting and sometimes eerie. 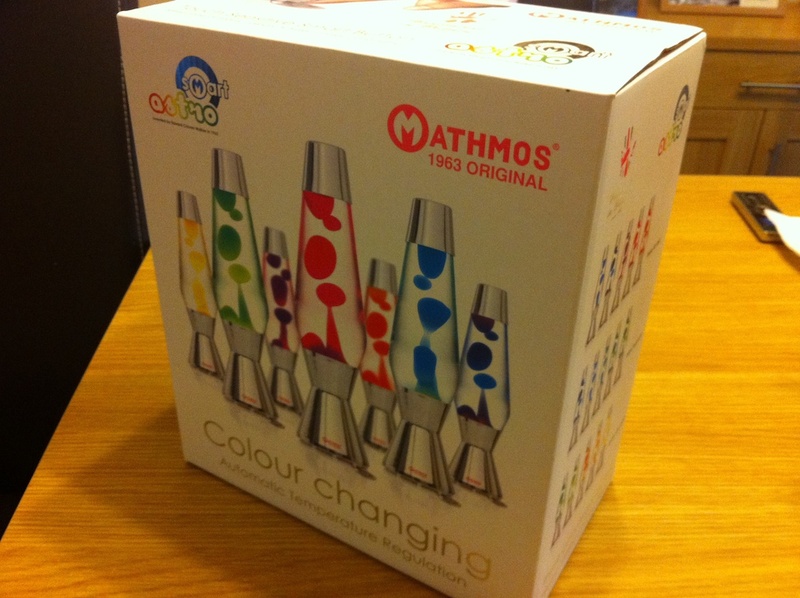 Another great gadget from Mathmos. 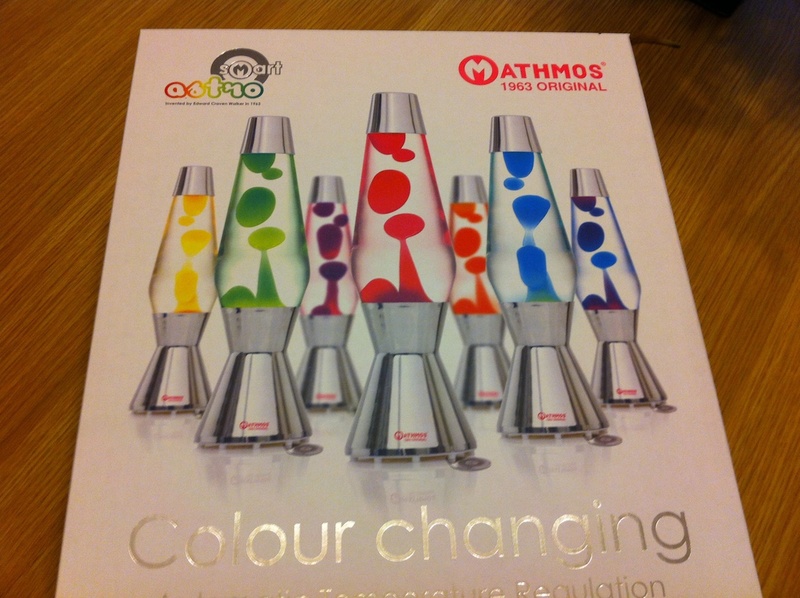 The original Mathmos Lava Lamps will always be my favourite.